GRAA LOGIN: VIEW INVENTORY, VIEW MARKET REPORTS, CHECK ACCOUNT STATUS, AND BUY ONLINE. D.M. 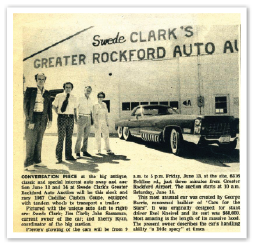 “Swede” Clark opened Swede Clark’s Greater Rockford Auto Auction in July of 1974 as a two lane auction on Beltline Road near the Greater Rockford Airport. 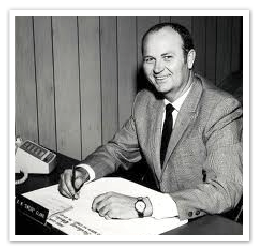 Clark had decades of automobile industry experience selling new and used cars at several car lots he owned since 1946. He was a respected and successful entrepreneur. He produced and starred in his own commercials which made him well known in Rockford and the surrounding communities. Clark hosted and sponsored “Courtesy Playhouse” movies on Saturday mornings and “Swede’s Breakfast Club” featuring “Tarzan” on Sunday mornings on two local Rockford area TV stations. During commercial breaks he would broadcast live, advertising several vehicles he had specials on that week at one of his Courtesy dealerships. Swede Clark owned more that a dozen other businesses in the area including Courtesy Aircraft Ltd, where he sold and serviced aircraft. This endeavor came from his love of flying which he shared with his son Mark Clark, current president of Greater Rockford Auto Auction and owner of Courtesy Aircraft. The Greater Rockford Auto Auction (GRAA) on Beltline Road was a popular, successful business as the largest supplier of vehicles to local used car lots. It set the standard for the business it is today, as an exciting, successful weekly event for dealers. In the 1980's the original building suffered a fire. The building was rebuilt and carried on through the misfortune. 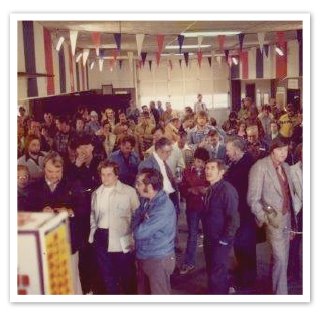 In 1991 plans were set in place for a new location for the auction. 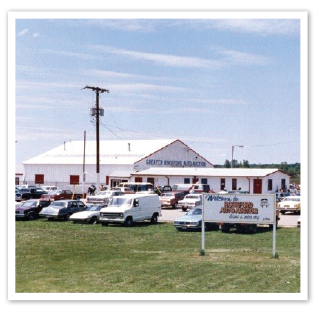 The Greater Rockford Auto Auction opened its new doors in February of 1994 on Sandy Hollow Rd. in Rockford, IL. The auction revealed an upgrade to four lanes of selling, a new computer system, and more square footage for buyers and sellers to conduct business. 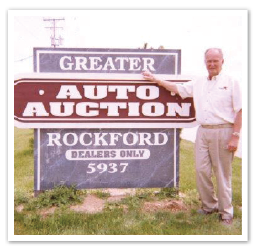 The Greater Rockford Auto Auction was an exciting place to attend on Wednesdays with Swede Clark as an active part of every auction until shortly before his passing at the age of 86 in 2011. The show goes on in his memory. 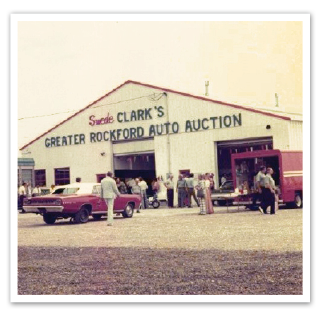 Over 40+ years later, and into the third generation of the Clark family, Greater Rockford Auto Auction is still committed to the service of bringing new and used automobile buyers and sellers to one location, once a week for an exciting day. We now offer six lanes of buying and selling, an online platform for buying options, and in 2015 with the opening of our new, fully equipped Reconditioning Operations Center – The ROC, we offer even more top notch services. 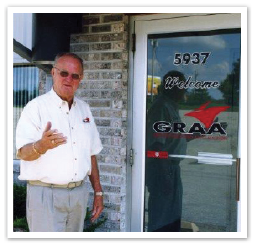 GRAA continues the tradition of giving away prizes to the dealers, celebrating specialty sales, providing food for the dealers, and maintaining the best customer service! In 2014 the General Manager, Chad Anderson started a Swede Clark Customer Service Award. This award is given once a month to a hard working employee of the auction. Because the stories and good memories of the past 40+ years of GRAA auctions are still talked about by our dealers, each Swede Clark Customer Service Award winner is honored to accept the award. 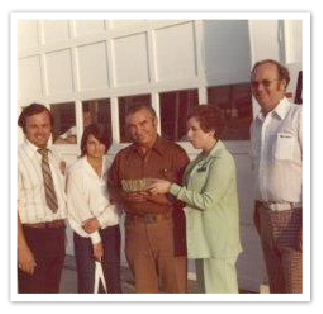 Swede's presence lives on with the Clark family at the sale each week, in the memories of the employees and dealers, and in the strong customer relationships built over the years. Monday-Thursday 8 a.m. - 5 p.m.
Friday 8 a.m. - 3 p.m.
Monday-Friday 8 a.m. - 5 p.m.
Sunday 8 a.m. - 12 p.m.